Yves Saint Laurent changed history. The first couture house to introduce a luxury ready-to-wear line, the brand is always one step ahead of the game. 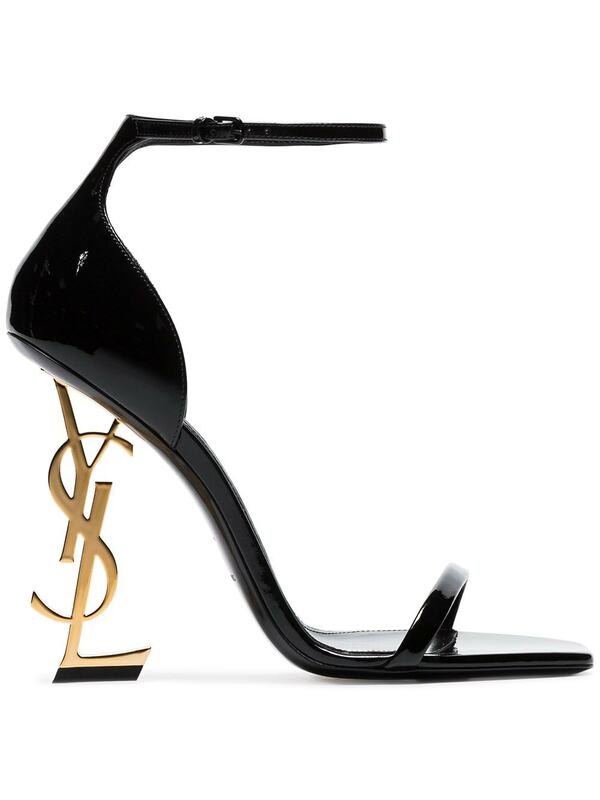 These black opyum 110 patent leather sandals feature a square open toe, an ankle strap with a side buckle fastening, a high logo plaque heel.